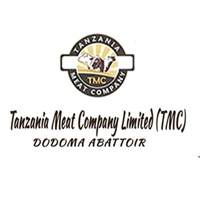 Tanzania Meat Co. Ltd, is an Abattoir that, operates its function under public private partnership (PPP), which has got two share holders National Investment Co. Ltd (NICOL-51% of shares) and National Ranching Company (NARCO-49% of shares) . Tanzania Meat Co. Ltd intent to improve it's financial and accounts operations by recruiting Assistant Accountant to cover the vacant post. • Preparation of monthly, quarterly, semi annually and annually accounts in accordance with Company deadlines. • CV and certified photocopy of relevant certificate showing 3- referees and their telephone numbers. • Applicant should not have been convened any criminal offenses in Court of the law in Tanzania or any other areas. • Age limit for the applicant should not be above than 40 years old. Attractive package will be offered to successful candidate basing on relevant skills and experience possessed. Application deadline will be 14 days from the date of advertisement. Applicant who will not be contacted should consider their application unsuccessfully. All application should be sent through post office to address shown, below.